Maxima is a Zillions-of-Games file. 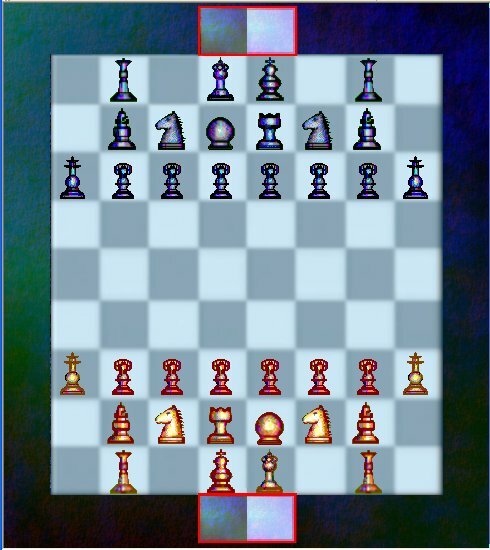 It is categorized as: Orthodox chess, . Author: Roberto Lavieri and Joost aan de Brugh. Inventor: Roberto Lavieri. Maxima . This ZRF enforces the checkmate condition in Maxima. The Maxima Page is going to be modified in the next future, adding the clarification rules for Check and Checkmate, as pointed out in the excellent work due to Joost Aan de Brug and his modified ZRF, in which the old ZRF´s capture-the-King condition is changed to the Checkmate win condition, and all possible conflicts are resolved in a logical way. Thanks again to Mr. de Brug. Very thanks to Joost Aan De Brug by the ZRF, and his interpretative analysis of how the game works with the Checkmate rule. I´m not going to rate this Item, because my name is in, but you did a very good job, friend. Sincerely, Roberto.